Looking for a pair in NOS and in mid-late '80s style with the white, green and red label. 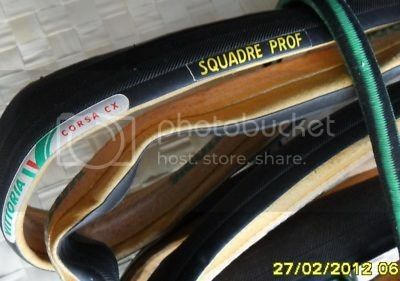 I have a set of NOS Vittoria CX Squadra Prof for sale if you are still interested. hs been sitting in garage and i need to make space. Got them at last - many thanks!